Book review of International Librarianship: Cooperation and Collaboration. Edited by Frances Laverne Carroll and John Frederick Harvey. Kern, Kristen. 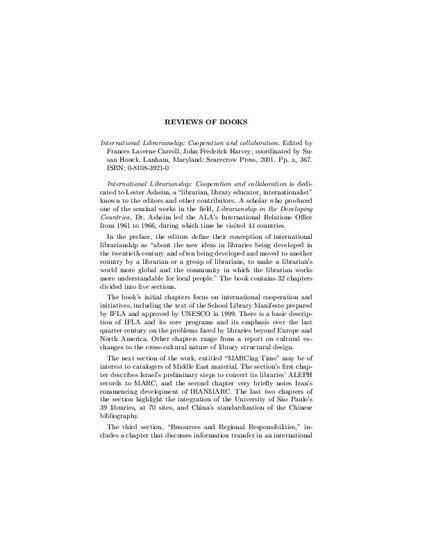 Book review of International Librarianship: Cooperation and Collaboration. Edited by Frances Laverne Carroll and John Frederick Harvey. Lanham, Maryland: Scarecrow Press, 2001. Published in MELA Notes, Number 77 (2004): 19-21.